Over the weekend, seventeen members of the TASIS community completed the London MoonWalk, a fundraising event which raised awareness and money for breast cancer research. 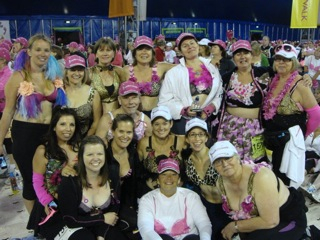 The team, the TASIS Blue Wits, raised over £3,500 by collectively walking a total of 366.8 miles (586.88 kilometers), in decorated bras! It was a truly magical night full of fun, poignancy, and TASIS camaraderie.